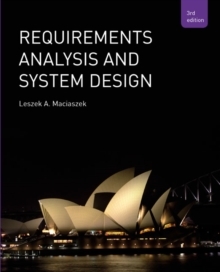 An examination of the methods and techniques used in the analysis and design phases of Information System development. Emphasis is placed upon the application of object technology in enterprise information systems (EIS) with UML being used throughout. Through its excellent balance of practical explanation and theoretical insight the book manages to avoid unnecessary, complicating details without sacrificing rigor. Examples of real-world scenarios are used throughout, giving the reader an understanding of what really goes on within the field of Software Engineering.